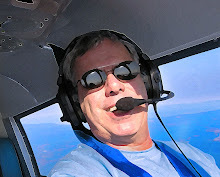 I've been writing about Duggy "The Smile in the Sky" for some time now, and still think he is the coolest, most important airplane the general aviation community has today for inviting the next generation of pilots to join us in our beautiful sky. When it comes to lighting up small faces, nothing makes that happen better than a bright yellow Skytrain with a gigantic smile on its nose. It is my opinion that Duggy is the single best example of a group of pilots who put their money up to create something that will educate children about the romance of flying. As a huge fan of non-profit efforts and the generous people who support them for a cause, I hold the principals behind the Duggy operation as heroes on our quest to keep GA alive well into the future. I've always wanted to find a way to raise Duggy's visibility not just in the aviation world, but outside this group, where the young flight students of tomorrow reside. So I told Mitch that if he arranged for me to ride along to Rock Falls with the crew of "The Smile in the Sky," and then on into Airventure aboard Duggy, I would report continuously throughout the journey. The plan was to also shoot as many high resolution digital images as I could, all to be handed over to the crew rights-released to use as they saw fit to further promote the Duggy brand. There is no shortage of DC-3/C-47 fans, this I know. We fans of these exquisite vintage flying machines hold this airframe dear to our aviator hearts, but I realized we really do not know what it takes to move one around the country. So from the time I land in Fargo to the minute we go wheels down at KOSH, my task will be to observe and report on the details of how a DC-3 crew operates...from the inside. I am tempted to call myself an "embedded reporter" but that does not do justice to the courageous journalists who risk life and limb in the Middle East when "embedded" with our Armed Forces. But, the idea is similar...observe and report, taking my readers along for the ride with me. The crew of Duggy are all seasoned aviators, so I want to see their process for flight planning, specifically as it relates to flying a DC-3. How much oil will Duggy burn during each leg? Will they fly low and slow, or go high and crank it up? VFR or IFR? Lots of questions will require answers. But since the final destination will be a week at Airventure, what other preparations must Team Duggy do in order to show off "The Smile in the Sky" on the world's largest aviation stage? Once we get to Rock Falls, I want to observe how the crew interacts with the public, and how the public – especially the kids – relates to Duggy. I have installed a blogger.com app on my iPhone to allow me to blog straight from my phone. So as this journey progresses, I plan to start a post thread and keep updating it with my observations along the way. 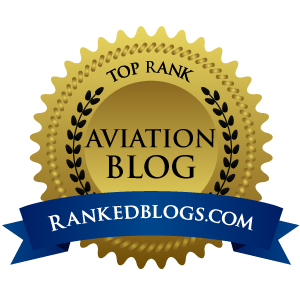 Not really "live blogging", but sort of a second cousin to that...I will update with factoids about Duggy and my feelings on what it's like to cruise through the sky inside his storied fuselage. What might it have been like when the first paying customers rode aboard DC-3s for their initial journeys across this great land, launching the commercial air travel industry as we know it today? What will happen to me as a complete aviation junkie when two huge radial engines meet their red line power settings and Duggy's tail rises prior to takeoff? Not going to lie to you, I expect full-on grinning to take place. I expect to have a good deal of down time with the crew and their families, eating, chatting, and helping to prep Duggy for the trip. I have told them I fully expect to help any way I can as a de-facto crew member for three days. So while they are not working on the flight deck, I want to dive into the character of this crew, and find out why they have devoted so much time and money to share the happiest plane in the sky with the rest of us. Once we find out the backstory, I'm sure we'll all have an increased level of respect for everyone that keeps Duggy flying. And last, there will be one common thread in all of this, and that is the fund raising component. 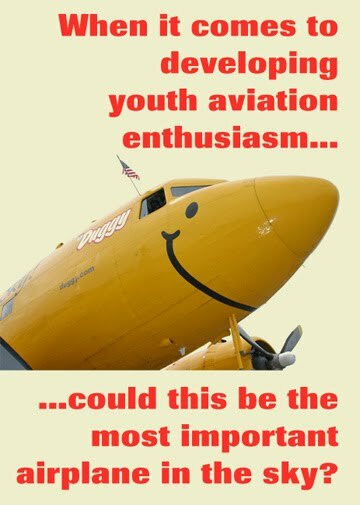 As I mentioned at the outset, Duggy is our most valuable asset in youth aviation education, and he is a not-for-profit entity. If you just inherited the family fortune, or have a nest egg in the Bill Gates neighborhood of riches, I will be asking that you contact Team Duggy and think of them when you write your next round of donation checks to support aviation education. Just visit duggy.com to learn more and then click on the contact link to make sponsorship arrangements.